I was browsing blogs last night when I ran across this beautiful, quaint little cabin kitchen. 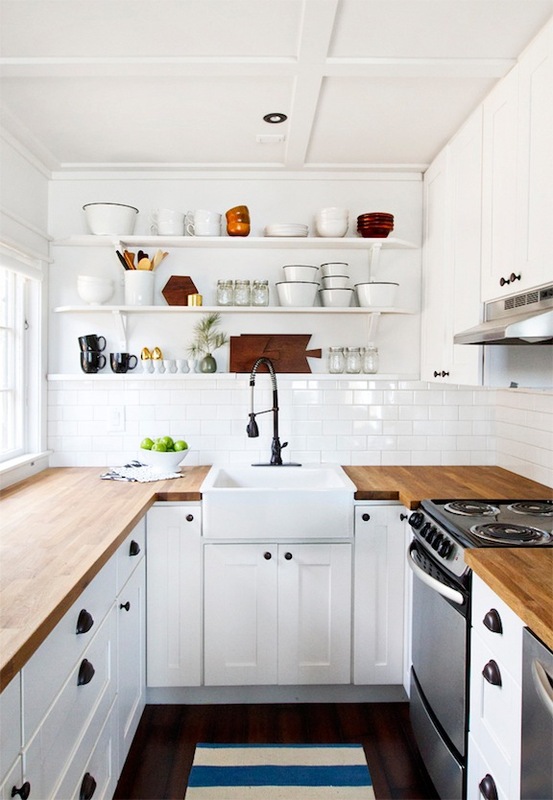 You know I love white kitchens, so I was excited when I saw this one! Sarah Samuel of Smitten Studio is in the process of renovating her Lake Michigan cabin and it is so lovely. All of the rooms she has worked on so far are warm, yet really light and bright. Her most recent project involved installing the open shelves in the kitchen. They give the space so much character. They are perfectly styled, too right?? 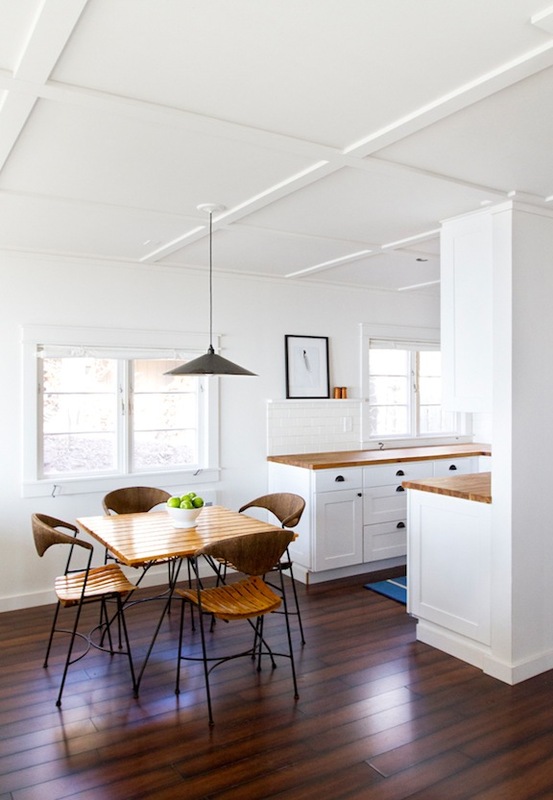 The mix of the subway tile, butcher block countertops and dark floors make the space warm, yet modern. I just adore it. 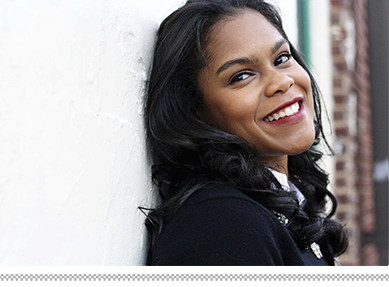 I probably spent an hour on her blog last night admiring her work and her style. You just might do the same thing! Love love love this! White really helps to make a small space look so spacious! Ah. Gorgeous. 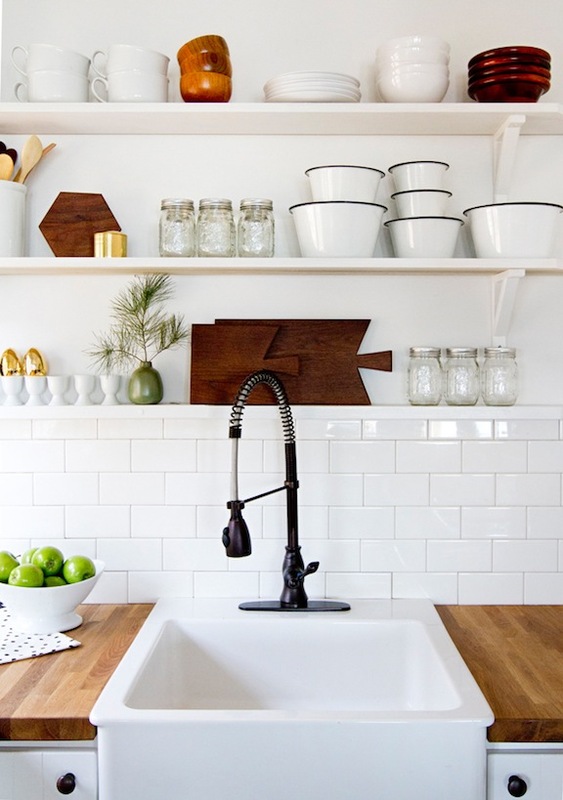 We are considering butcher block countertops too...I love these! Heading over to check out her blog. I love those hardwood floors. how pretty! 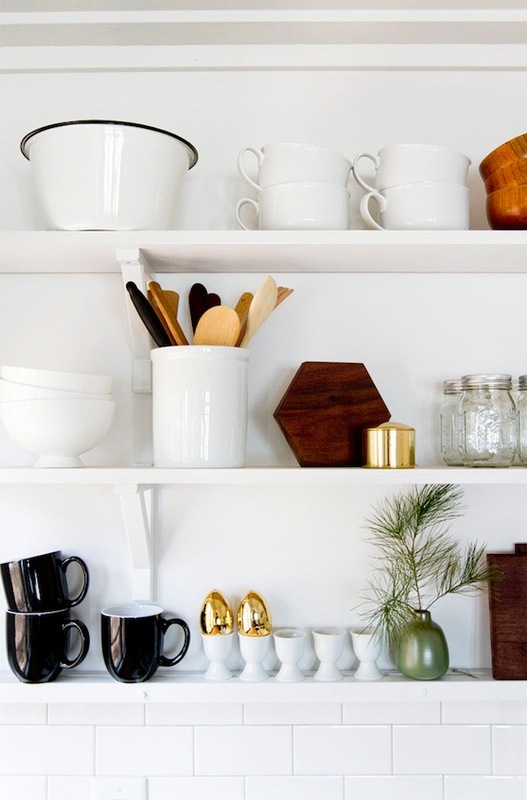 i'm always jealous of people brave enough to have open shelving in their kitchen. I'd be too worried about it getting messy! I too adore this kitchen. It's nice to see that you can have a fabulous kitchen even though its small. Nicely done! This is such a charming kitchen.